c) protected from rain, snow, etc. Finding a suitable place is often a major challenge. 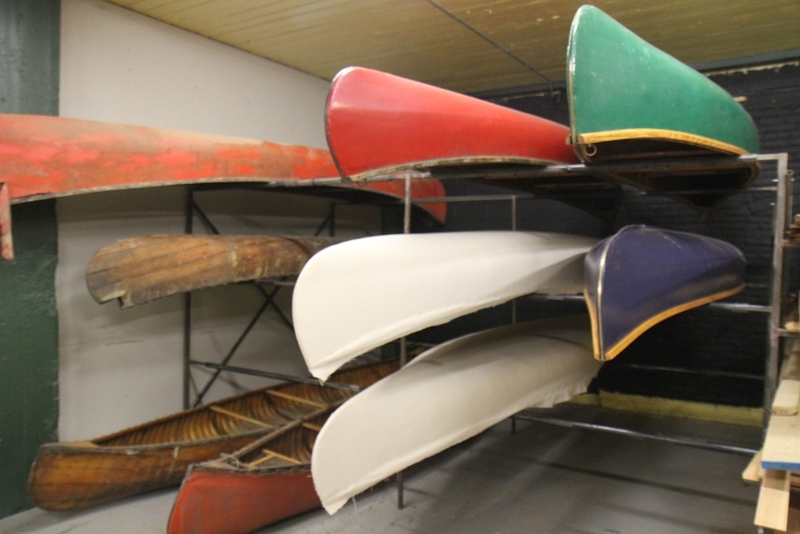 I’m sure there are as many places to store a canoe as there are canoes. Let’s look at a few. 4) Lean-To Shelter (against a building). Once you have identified a spot, the next step is to develop a storage method. I will describe three possible systems. From them, you ought to be able to come up with something that works for you. 1. A Basic Rack – Does your space have a solid wall on one side? Is there enough room away from the wall to allow access into the space? If so, build and install two large racks about 7’ (2 meters) apart. The example illustrated here is made from spruce 2×4’s. The joints are glued and screwed to ensure a sturdy structure. 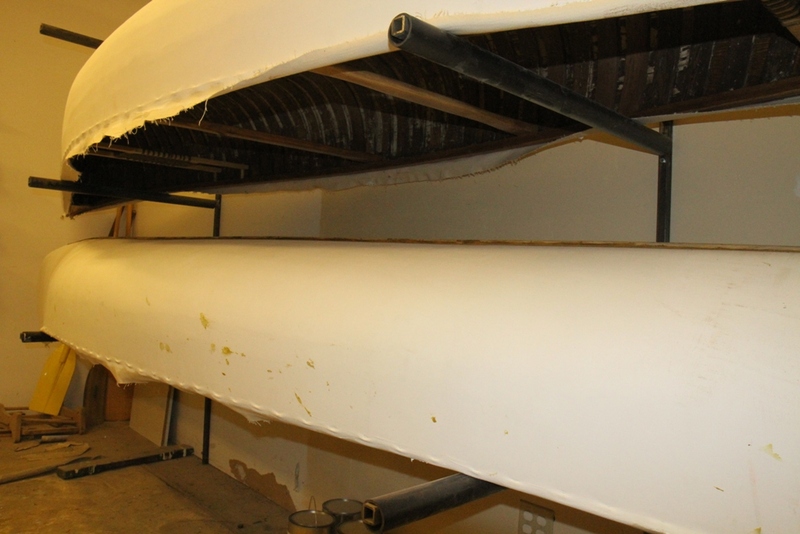 The top edges of the rack can be rounded and/or padded to protect the gunwales of the canoe. Make sure the racks are secured well to the wall (with lag-bolts or through bolts and washers). 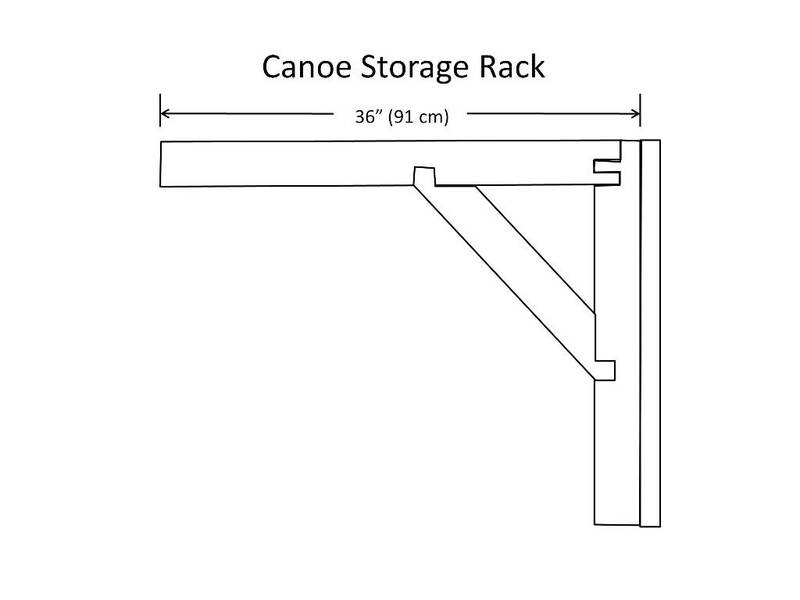 If you are able to use the services of a steel fabricator, a canoe rack can be constructed from 1″ (25 mm) square tubing. A single weld to create a right angle is more than strong enough to support a canoe, so there is no need for extra bracing if the rack is made of steel. Protect the gunwales of your canoe by threading a length of 1½” (38 mm) ABS pipe over the steel struts. 2. A Roller System – Is your space long and narrow? Is it awkward or impossible to access the space from the side? 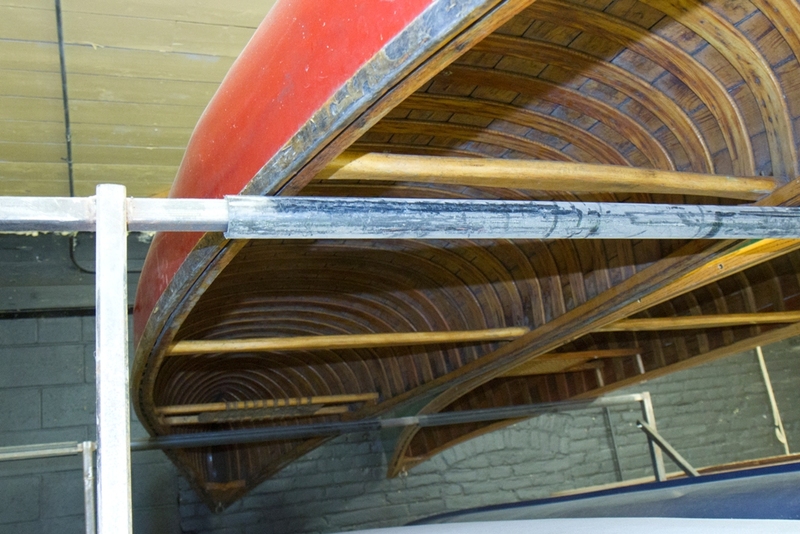 In this case, it may be possible to feed the canoe into the space from one end. For this situation, install two support racks about 7’ (2 meters) apart. Each support rack is a length of standard 1” (25 mm) steel pipe (or square tubing) at least 40” (one meter) long threaded through a length of 1½” (38 mm) ABS pipe at least 38” (96 cm) long. Install each steel pipe securely at the desired height. The ABS pipe acts as a roller and makes it easy to store the canoe in and remove it from a confined space. 3. 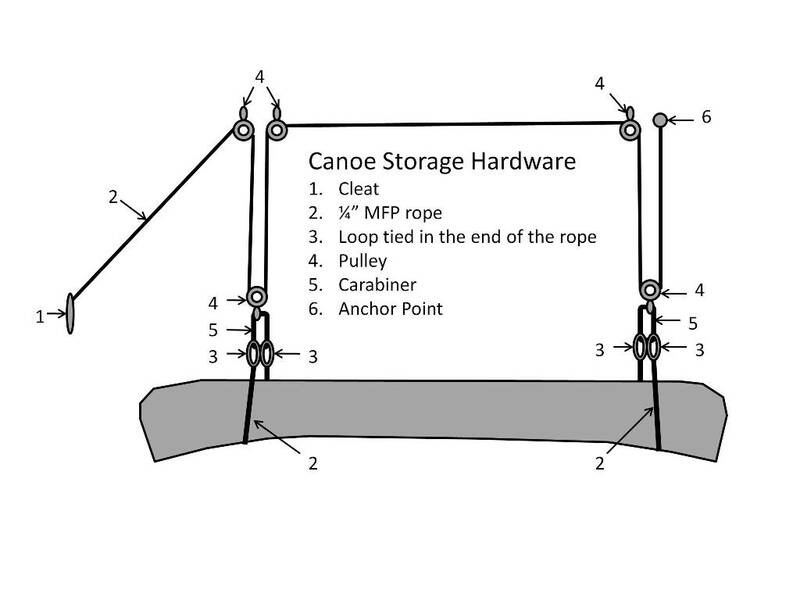 A Hoist System – Is it possible or desirable to get your canoe up out of the way above everything else? If so, try using a system of ropes and pulleys to hoist your canoe up and away. 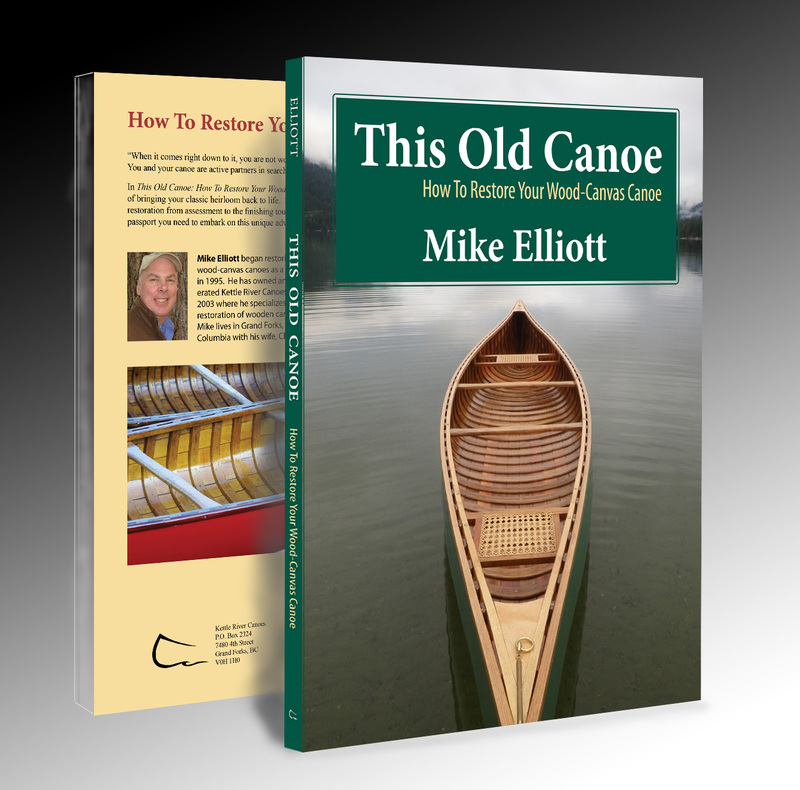 Support the canoe with a length of rope wrapped around each end. Tie a permanent loop in both ends of the ropes. Use a carabiner to clip the ends of each rope together to create a support loop for each end of the canoe. Then rig a length of ¼” (7 mm) braided rope (I use multi-filament polypropylene – MFP – rope) through a series of pulleys as illustrated above and install a cleat to secure the free-end of the rope. 4. 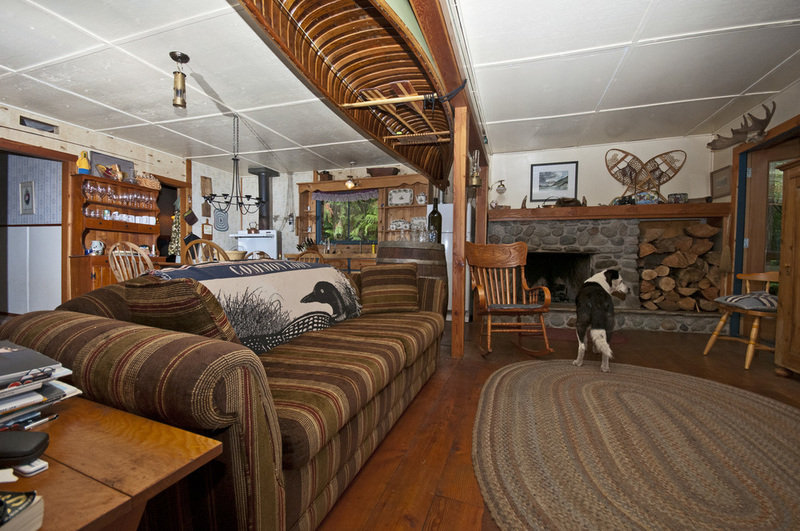 Interior Design – Let’s face it, wood-canvas canoes are works of art and as such can enhance a living space. They can set a tone for the room and become a conversation piece for visitors. A little creativity can provide a method for hanging the canoe that shows off your canoe to its best advantage. 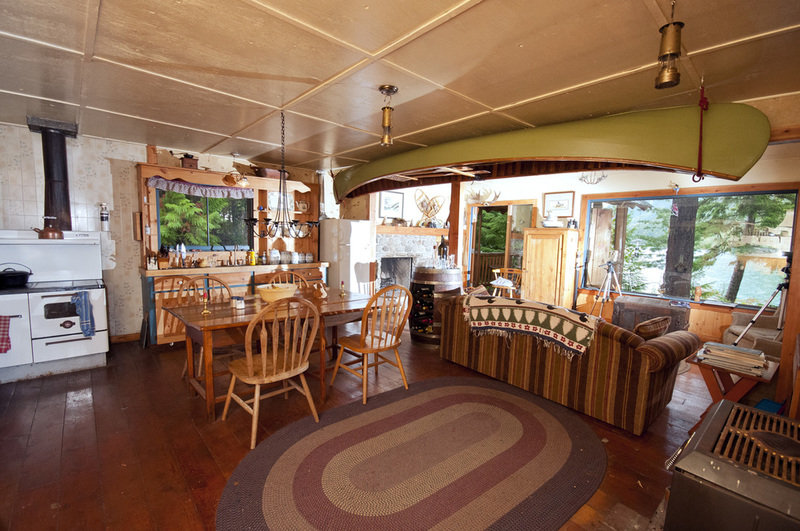 This is an option as long as the space has large doors to allow the canoe to be moved into and out of the space. Narrow hallways or tight corners into the space would eliminate this as an option. Warning: When storing your canoe (either inside or outside), resist the temptation to wrap it up in a tarp. Any moisture trapped inside the tarp or developed over extended wet periods will remain there. As mentioned earlier, this sets up perfect growing conditions for the fungi that cause wood-rot. If you want your canoe to compost, then wrap it up in a tarp. Otherwise, make sure there is plenty of air circulation around your canoe and never wrap it in a tarp.